We finally have fall weather here in San Diego and I’m enjoying autumn vegetables. 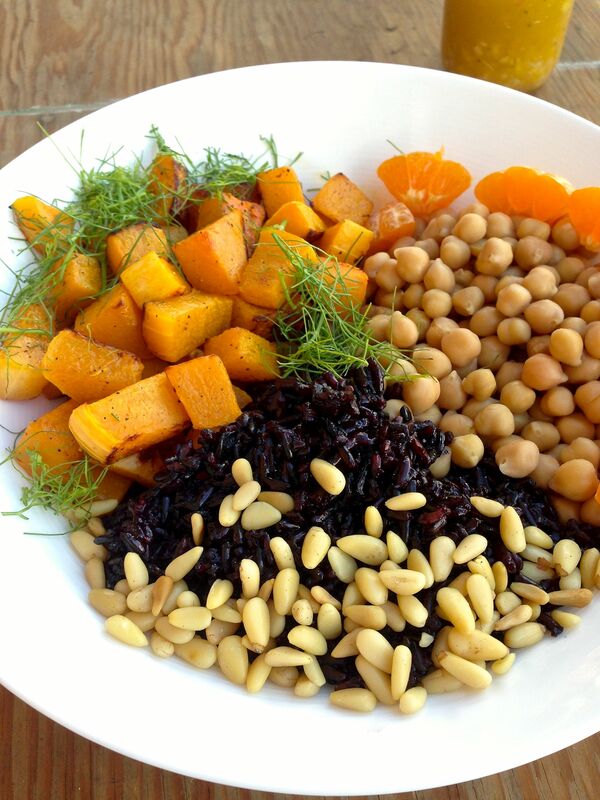 This side dish features butternut squash, chick peas and black rice, and is warm and cozy. The clementine vinaigrette gives it a sweet bite and pine nuts make it extra rich. I love the bright and warm combination of citrus and fennel. To me it tastes sunny and cozy and wintery all at once. A fellow food blogger invited me to participate in a recipe challenge from Melissa’s. Melissa’s sent us a box of fresh and seasonal produce and we were challenged to come up with a recipe featuring at least 2 or 3 of the items, sort of like “Chopped.” (FCC Disclaimer: I received the box for free, but have not otherwise been compensated. Opinions and recipe development are entirely mine.) 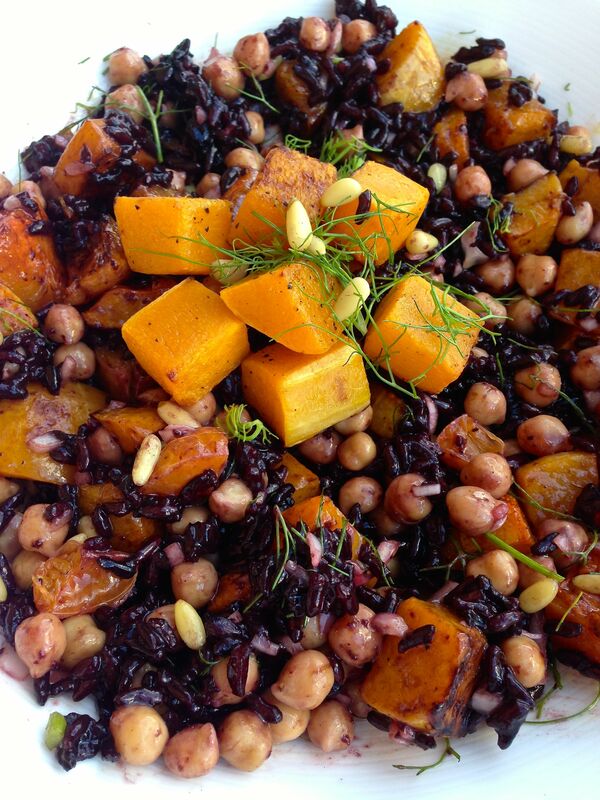 I immediately gravitated to a beautiful butternut squash, pine nuts and cranberries. Unfortunately, Little Bird also gravitated to the cranberries… and ate the entire bag in a few minutes. I decided to add the garbanzo beans for extra protein. I usually cook with dried beans, and start from scratch, but the convenience of the vacuum sealed beans was nice and the taste was a step up from a can. Apart from throwing the rice in the rice cooker, the only “cooking” was chopping and roasting the squash. Little Bird enjoying shaking up the vinaigrette in a jar. Keep reading for a printable recipe plus more fall dishes. My sister Marjorie has been making a fresh cranberry sauce for Thanksgiving since she was a teenager. 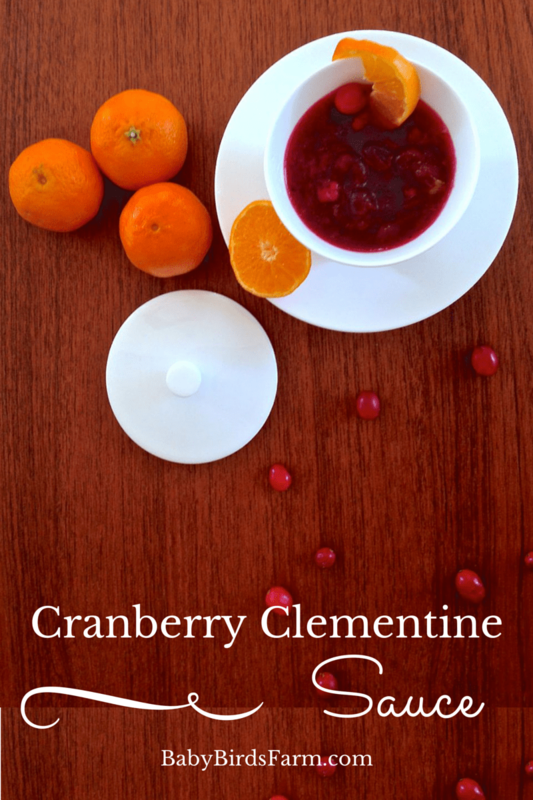 She shares her recipe for easy cranberry clementine sauce every year, since I never write it down. I’m happy to share it here because now I will be able to look it up next November, too! This is also a fun recipe to make with kids. 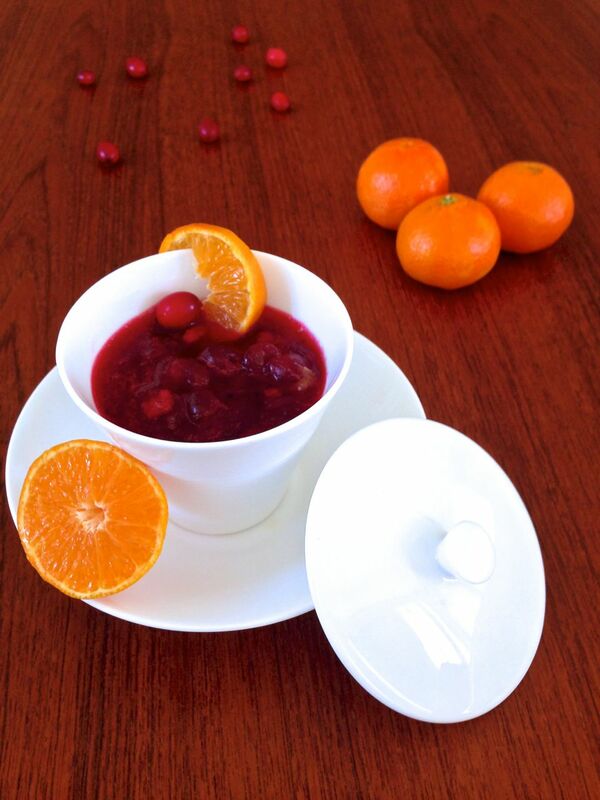 An easy homemade recipe for cranberry sauce made with clementine juice and peel. Perfect for Thanksgiving. Rince cranberries. Juice the clementine and chop the peel in a small dice. Place all of the ingredients in a small sauce pan. Bring to a boil and cook for 10 minutes. Cool slightly and serve. May also be refrigerated up to one week and served cold. Pin the recipe to save. Please follow my Thanksgiving board on Pinterest for more ideas! Summer in San Diego means the Del Mar Racetrack is open and an abundance of mint in our garden. 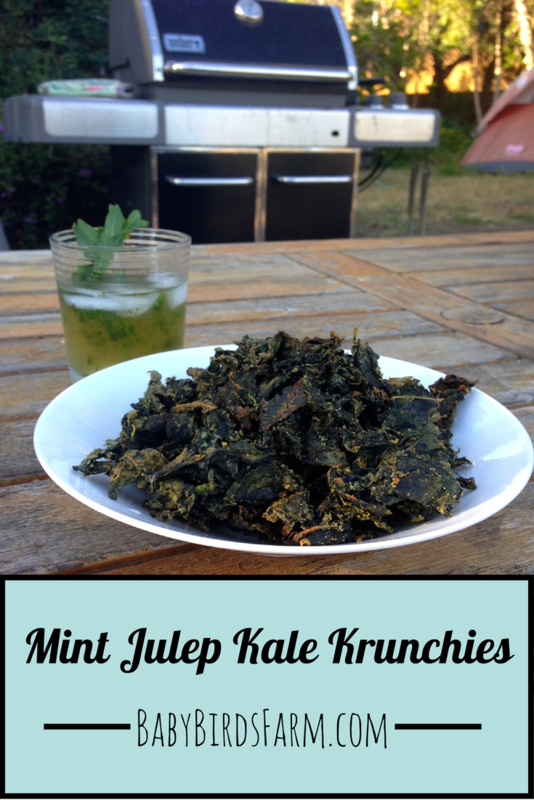 Both were the inspiration for “mint julep” kale krunchies, our latest variation on kale chips. Using the same technique and creamy cashew base as my Cilantro Lime Kale Chips, these kale crunchies are flavored with the summer drink ingredients. Yes, even a splash of bourbon. 1. Wash the kale in cold water. Holding the end of the stem in one hand, firmly and quickly slide your other hand down the center rib. The leaves should tear off of the rib in one move. Dry the kale very well and rip any large pieces into smaller bits. 2. Blend the rest of the ingredients in a small food processor, like a Magic Bullet, or blender. If the blender struggles, add a little water, a tablespoon at a time, until it blends well. Blend at highest speed until smooth, scraping down the sides at least once. Keep in mind the more water you add, the longer the chips will take to dry out in the oven. 3. Preheat oven to 200° F. Meanwhile, in a large bowl, massage the “sauce” into the kale. Then spread it onto a baking sheet lined with parchment paper or a silicone mat. Bake for 45 minutes or so, checking and gently stirring the kale occasionally, until it is dried but not overly toasted. For step by step photos of how to make kale chips, please see my previous recipes for Easy Homemade Kale Chips and Cilantro Lime Kale Chips. Enjoying the Mint Julep Kale Crunchies with the eponymous drink is optional, but highly recommended! 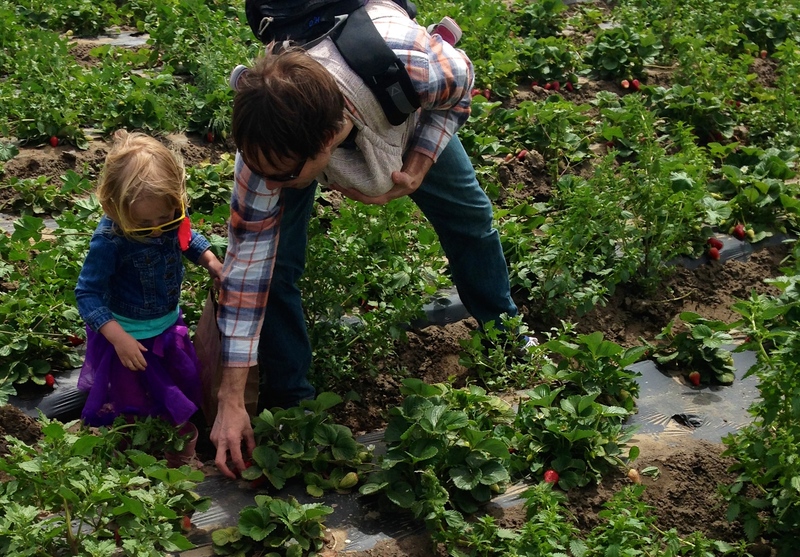 Last weekend we celebrated Papa Bird’s birthday with a fun family day at Suzie’s Farm. They held their annual “Strawberry Jam” last Saturday and we all had so much fun, picking strawberries and eating yummy food. Little Bird loved apple picking as a tot and felt right at home with the plants and chickens. 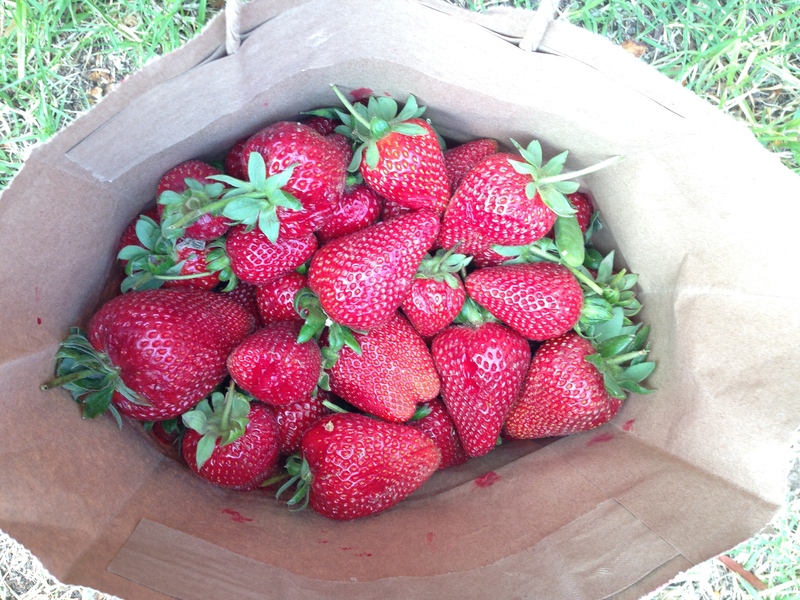 We started off picking organic strawberries. 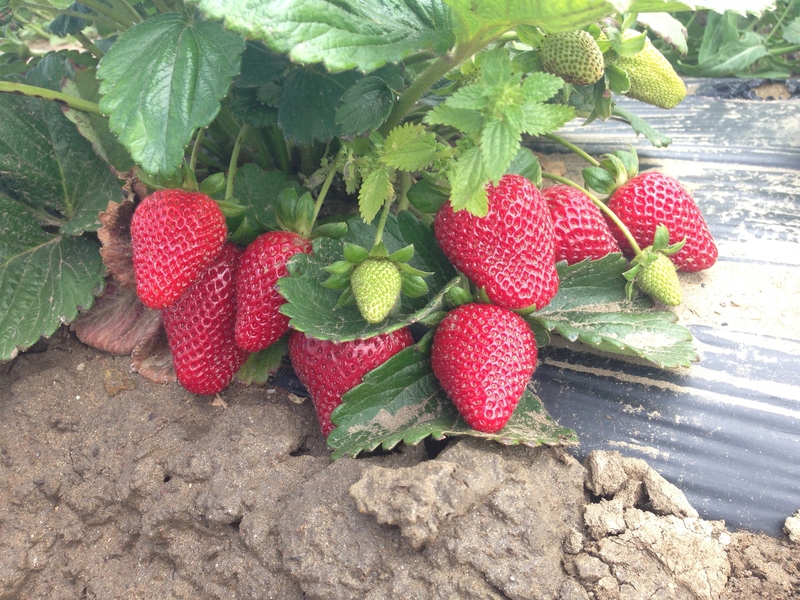 Every plant was filled with the most perfectly beautiful, sweet and flavorful berries. (At home, Little Bird tends to pick all of our strawberries while they are still green and small.) I did get some temporary hives from stinging nettles, but they went away. Next I sampled strawberry chutney, drank a strawberry and basil kombucha, and made green strawberry pickles with Austin from the San Diego Fermenter’s Club. Little Bird loves them. They are mild, slightly crunchy and have a hint of strawberry flavor. You can find the recipe for Green Strawberry Pickles here. After all that hard work, I was ready for a grass fed burger made with strawberry jam, and a beet and quinoa salad from Green Truck. The cold and windy weather discouraged our plans for eating ice cream from our friends’ Calexico Creamery, but we took home a pint of (what else?) Fresa and a pint of Mexican Cocoa. Little Bird and I hid out from the wind in a teepee and she gathered twigs and sticks to build a play fire. –> Update: Strawberry Jam now posted HERE. I finally got around to processing our extra tomatoes this weekend. Out of 5 pounds of heirlooms and Roma’s, I made tomato sauce with garlic, based on Alice Water’s recipe. 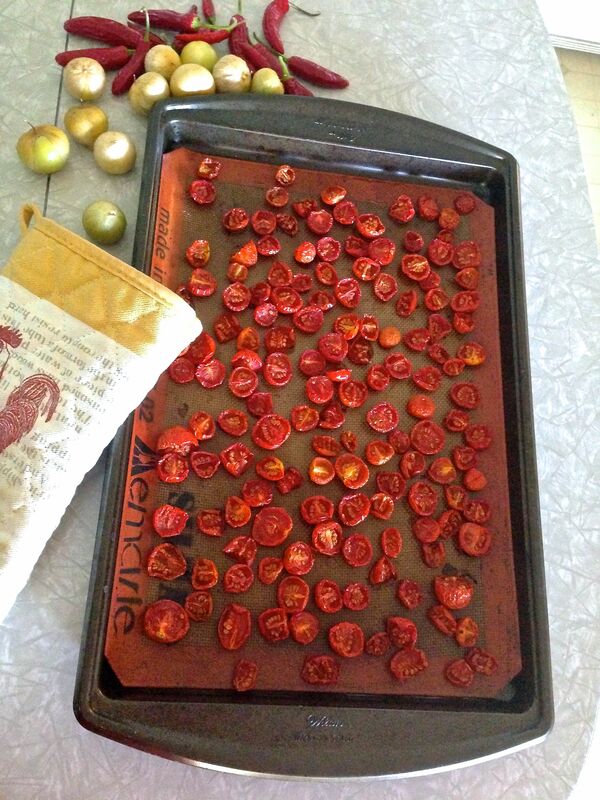 But my absolute favorite alchemy is what happens to cherry tomatoes when they are slow roasted in the oven. 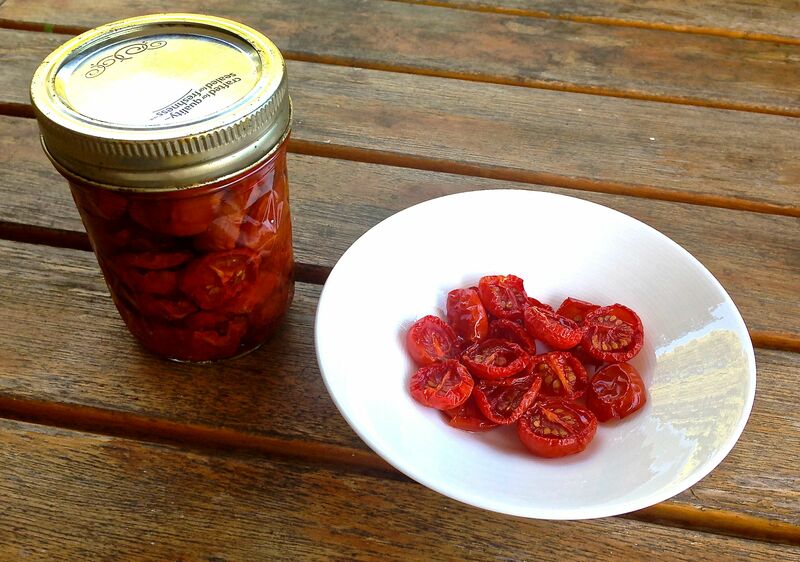 If you like the taste of sun-dried tomatoes, but could do without the leathery texture, then you will love these oven roasted cherry tomatoes. And you will be surprised how easy they are! I love having the taste of summer throughout the year, and nothing speaks to the sunshine and vitamins of summer as well as these easy tomatoes. Try using them in place of sun-dried tomatoes in recipes, such as this Roasted Red Pepper and Walnut Pesto. Rinse tomatoes and cut in half. Spread, cut side up, on a silicone mat or parchment paper-lined baking sheet. Drizzle, lightly with olive oil and a sprinkle of salt and pepper. Roast in a 225°F oven for 2-3 hours or until somewhat dried, but still a little juicy. Let cool. 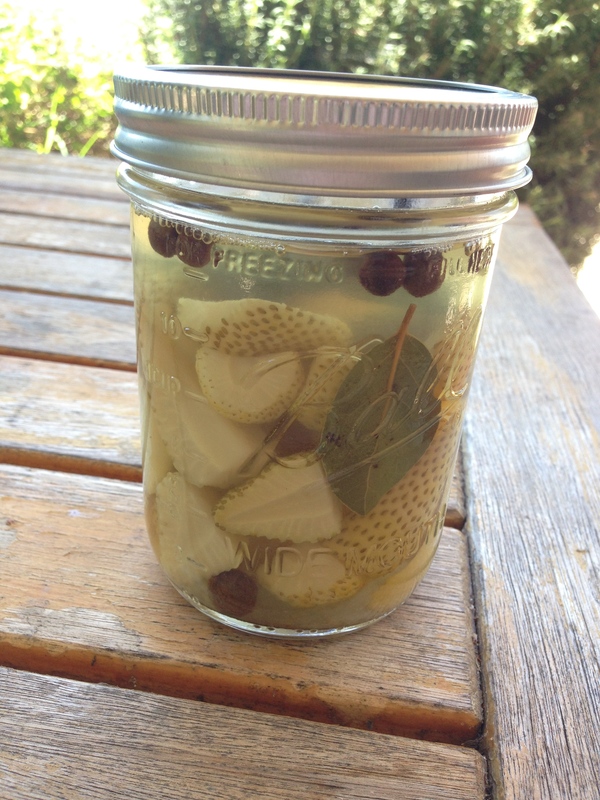 Enjoy as is or pack into a clean jar, cover with more olive oil, and can or freeze. If freezing, leave a little space at the top. Tip: as awesome as garlic, shallots, and fresh herbs are with tomatoes, DO NOT put them in your jars. They contain moisture and will make it mold more quickly. Click on any picture in the gallery below to expand and see the steps.